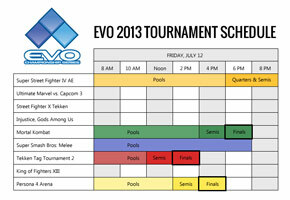 Updated: Super Smash Bros. Melee will be streamed at this year's EVO. The staff just got word from Nintendo that they will be allowed to proceed as originally planned. 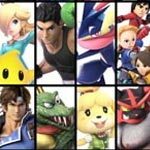 A few hours back, it was reported that Nintendo of America wouldn't allow the EVO staff to stream Super Smash Bros. Melee at their event, but this decision was reversed, after numerous media outlets picked up the story. 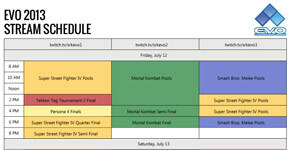 Here are images of the original EVO schedule, the tournament times are on the left and stream schedule is on the right. Tips by H3ARTZ, heartlessomega, zombiebrian, aceinu, DevilMaySpy, Krydius, Shinkuu Kikoken, Doopliss, PhobiaXxX and an anonymous reader.